Contributors to the book draw on a very wide range of source from archives and libraries throughout Europe and further afield. 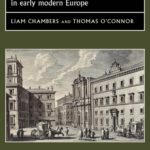 The book takes a new look at Irish, English and Scots colleges by comparing them to similar institutions founded by Dutch, Scandinavians, Maronites and others. We very much enjoyed working with an international team of scholars to offer new approaches to the subject. MUP has a very strong reputation for publishing books of the highest standards on early modern history. 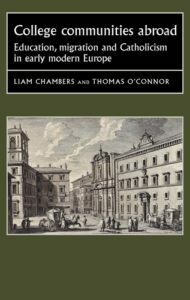 We are especially pleased that the book will appear in the influential and important series Studies in Early Modern European History. No, one applied the same critical standards here as heretofore. College communities abroad is available now!